Perseids, August 8, 2005 At certain times of the year, meteors seem to shower out of a particular point in the sky, called a radiant. These radiants are actually points along the orbits of comets, and the meteors are tiny bits of dust. The orbit of the earth takes us into these dust lanes on a regular basis, and we have meteor showers. Although they are usually tiny, sand-like grains, these meteors collide with our atmosphere at great speed and sometimes are quite bright. 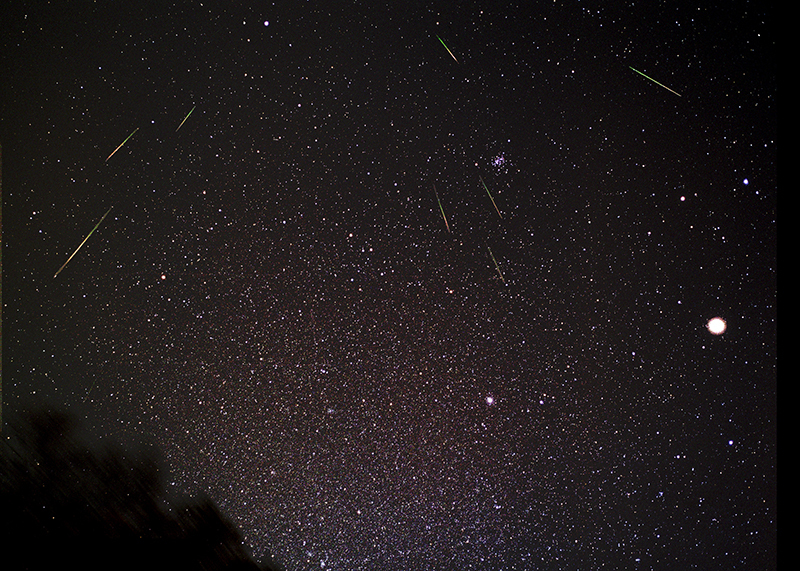 The Perseids are from Comet Swift-Tuttle, and are so named because their radiant is in the constellation Perseus. Some years are better than others. 2005 was expected to be great, but was somewhat of a dud. 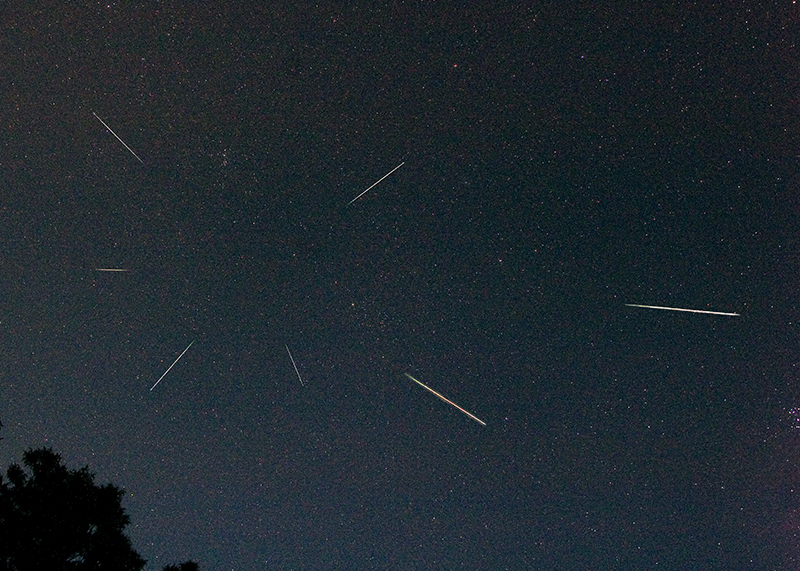 Nevertheless, I was able to capture a few bright meteors and stack them to show the radiant. This photo was published in Astronomy magazine, January 2006. November 18, 2001. This was a truly great shower! In fact, many observers felt that it qualified as a “meteor storm,” with peak activity of over 1,000 meteors per hour. The dust from comet Temple-Tuttle strikes our atmosphere at 71KM/sec. The bright object on the right is Jupiter.